Today's post features my make-up look for the day and a lil product review of some new beauty treats I picked up yesterday! Although my whole career and background is in Fashion, I seem to spend more time and money on beauty products and make-up than I do on clothes. 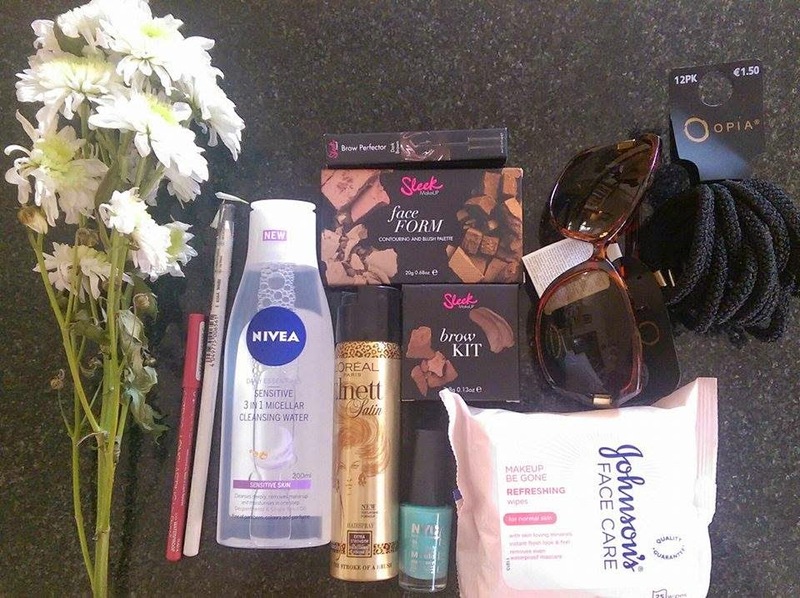 I headed to the Boots superstore in the shopping center and picked up a few bits (mini review below) and then headed to Penneys where I also picked up some more cosmetic items rather than clothes. Below is some of the bits I purchased between Boots and Penneys. - Nivea Micellar cleansing water - I have talked about this product before, I am loving it!!! - Catrice Lip liner in 070 I Got You Babe! 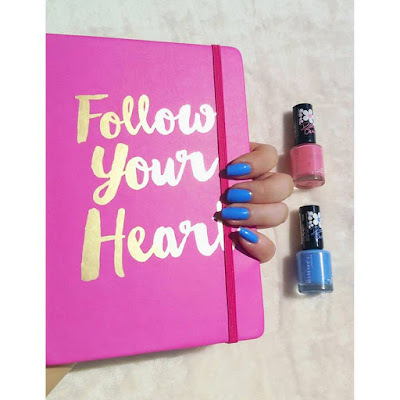 - NYC nail polish in '320 Blue Sky'. - Hair Bobbin - because you can never have enough hair bobbins! - Sleek Make-up contour and highlighting kit in 'Light'. - Sleek Brow corrector in 'Dark'. OK so I didn't get that much in Boots but I just had to feature these 'SLEEK' products. I tried them this morning (all have been used in the look posted below) and I am in love with all of them. And even better, they are currently 3 for 2 in Boots!!! The contour kit is sooo pretty, I just created a light contour today but it is definitely build-able and comes in a darker shade palette too! The 3 colours compliment each other perfectly and are gorgeous for a light summer contour and glow. 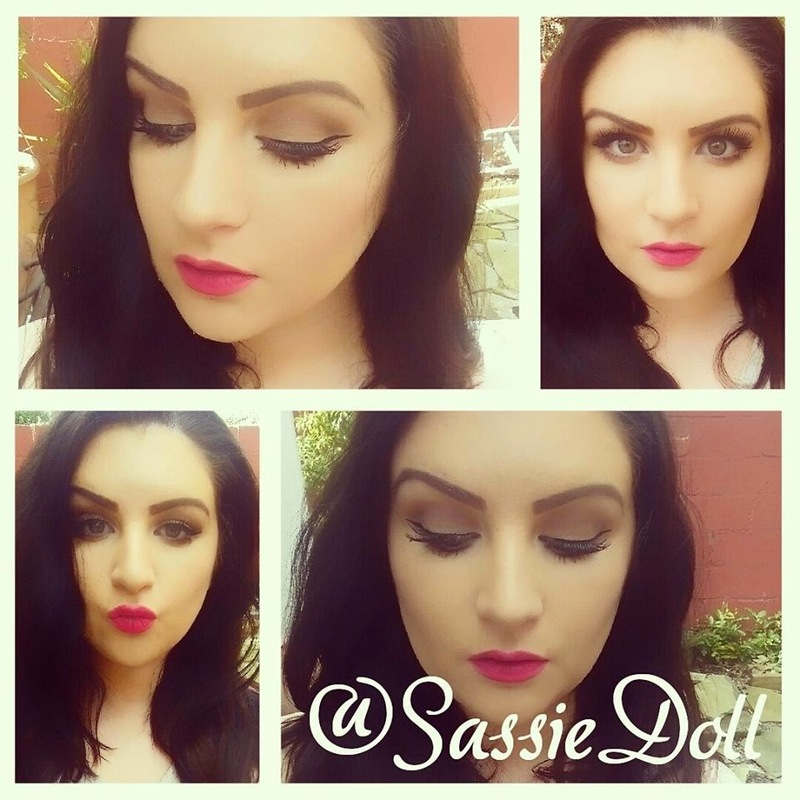 The brow kit has 2 small angled brushes and a mini tweezers as well as a gel based and powder based brow filler. It is so handy and compact. And then there is the little brow mascara which I love, it is slightly tinted and keeps the brows in place so well! I actually tried this last night when I got home and I fell asleep with it on and woke up this morning wit perfect brows!!! In love!!! I won't go into too much detail on the below look as it quite a plain and simple day look, as stated above, my contouring and brows are the SLEEK products. Foundation is L'Oreal true match and my lipstick is MAC relentlessly red. 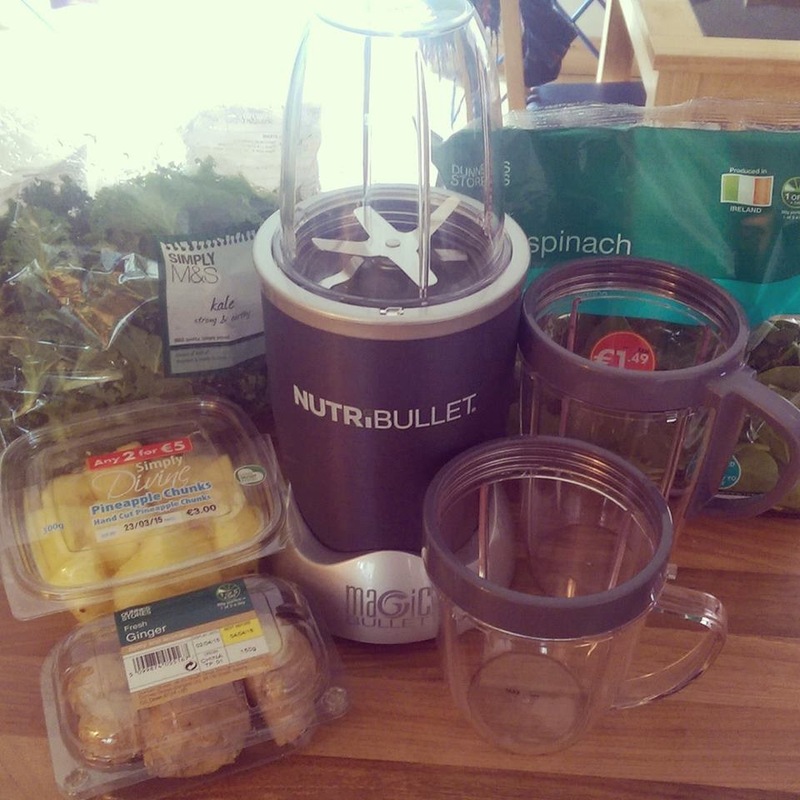 I have been dying to buy one of these and start trying to get back on the healthy bandwagon! I haven't tried it yet but I picked up some Spinach, Kale, ginger, pineapple and apples to make myself a nice healthy juice. If you have any good juicing tips please let me know and I'll do an update in 'My Fitness Journey' over the coming months!